Southern Beauty!! 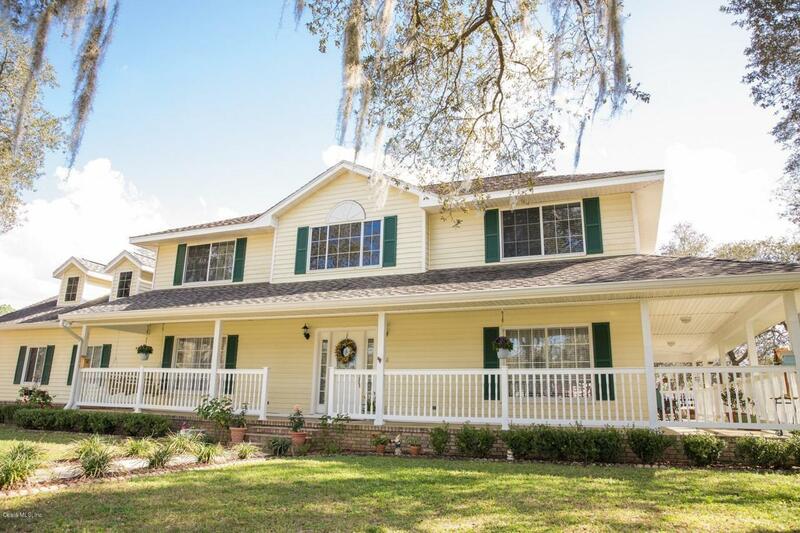 Welcome home to this beautiful, just over 3 acre, Mini-Farm perfectly located in the heart of SW Ocala. Minutes to shops and restaurants as well as I75. House is picture perfect with beautiful wrap around porch and gorgeous pasture. As you walk in the front door, the pride of homeownership can be appreciated. This home has been completely renovated on the inside and offers 2 master suites, one downstairs and one upstairs. The living room with fireplace makes the living space so inviting and cozy. Enjoy the beauty of the grounds from the back porch as you over look the pool and watch the horses gallop in the back pasture. Barn with 2 stalls and a tack room and an added outbuilding/ garage with loft storage. This home has it all and is offered below appraised value. Listing provided courtesy of Sold Sisters of Magnolia Homestead Realty, Llc.